The powder surface modifying machine(also called coating machine) is widely used in the fields of non-metal stuffing or pigment like plastic, rubber, adhesive, macromolecule materials, high polymer composite, functional materials and dope industries and so on; It can not only improve the compatibility of both non-organic mineral stuff and organic high polymer, enhance binding force of interfaces, rise the mechanical strength and comprehensive ability, but also increase the stuffing ability of powder, save product cost as well. It is widely used to modify various materials, such as calcium carbonate, kaolin, talcum, mica, white carbon black, zinc oxide, alumina, silicon powder, graphite and so on. 1. 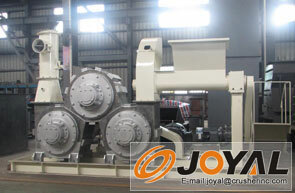 Continuous operation, large capacity, suitable for industrialization production in various scale. 2. High utilize ratio of modifying agent, high covering and active index of powder. 3. 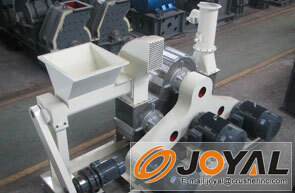 With the function of modifying and dispersion, it is widely used for various materials. 4. 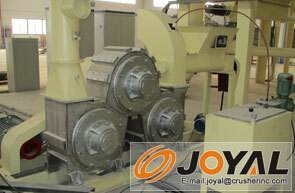 High modifying efficiency without changing the granulate shape. 6. 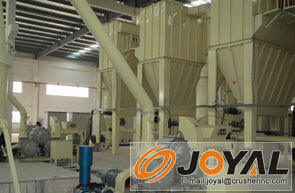 Continuous working system, easy to operation. 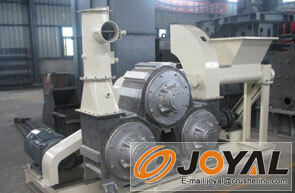 The powder surface treatment is completed mainly by means of three modifying chamber; the dry powder and dosed agent are fed into the chambers synchronously, with high-speed rotation in the form of fluidizing vortex.the modification is completed with the heat generated by high speed shearing, colliding and friction between the rotor and powder.